The U.S. Government’s largest excluding agency is the Department of Health and Human Services (HHS) Office of the Inspector General (OIG), and the HHS OIG’s exclusion list is called the List of Excluded Individuals/Entities (LEIE). These are commonly referred to as “Medicare Exclusions”, although the prohibitions extend far beyond Medicare. Recent regulation changes now require many providers to also search another Federal exclusion list – the U.S. General Services Administration’s (GSA) System for Award Management (SAM). The SAM is used by the government for procurement purposes, and it contains exclusions from many other Federal agencies. In addition to Federal exclusion, most States also have their own exclusion lists. For a list of these data sources, check out Verify Comply™ Exclusion Lists. OIG exclusion prohibits individuals and entities from receiving payment from Federal and State healthcare programs (Medicare, Medicaid, TRICARE, veterans’ programs, etc.). This payment prohibition applies to the services provided by the excluded party and the services ordered or referred by the excluded party. Exclusion also extends to administrative functions that service federal healthcare claims. To protect themselves from Civil Monetary Penalties Law liability (up to triple damages), companies need to screen all parties (employees, providers, & vendors) that are related to the Federal healthcare claim on a monthly basis. If an excluded party is identified, liability can be mitigated under the OIG Self-Disclosure Protocol. Although exclusion list searches can be performed directly with the excluding agencies, it’s a manual process that can be very time consuming. For this reason, vendors offer products that automate the exclusion search process. Not only can they search in bulk, they can do it across numerous exclusion lists, too. To better understand what the vendors offer, it’s important to understand the exclusion list search process. Searching the OIG exclusion list involves two components; 1) a name matching procedure, and 2) a process to validate the name matches. The second element – which typically involves an SSN comparison with the excluding agency – is where vendor services diverge. DIY options vary by vendor, but they all typically perform the initial name match and leave the final validation procedure to the client. Where DIY products diverge is after the name matching occurs. Many vendors simply produce a spreadsheet of matches that a client reviews. This is a very basic model that provides little to no efficiency in future exclusion searches. 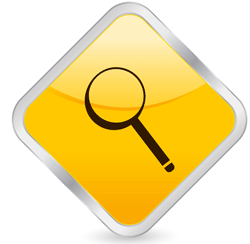 More advanced exclusion list search software allows clients to fully manage the data imports, searches, and match review processes within the interface. Some of these systems have the ability to “remember” match validation results from previous efforts so only new matches require review in future scans – a feature that is critically important if performing monthly searches. At $39.95 per month, the feature-rich Portal Pro™ is a very popular DIY exclusion list search solution. The full-service exclusion search model means that both components of the exclusion search are outsourced to the third-party vendor. Many exclusion screening vendors push this model because it can be much more lucrative. However, in the vast majority of cases this model is unnecessary. Typically companies that only search Federal and one or two State excluding agencies can easily manage the process in-house and save a LOT of money. The value of the full-service begins to make sense when all or most State excluding agencies need to be screened. This is because validating name matches with some State agencies is very time consuming. Vendors have developed contacts at all or most State agencies, so they have the ability to more efficiently validate the excluded party matches. Verify Comply® offers a full-service model as part of our Ultimate™ service package. If you’re still unsure which excluded party search option best fits your organization, just give us a call – we’d love to help! Have questions? Feel free to send a message or talk to us at 855.937.2872!